The rise of shopping online has proven to be a double-edged sword for modern consumers. On one hand it has never been more convenient to get holiday shopping out of the way, and on the other hand, identity and credit card theft have never been easier for potential thieves and hackers. Consumer confidence in the matter hasn’t been helped by the fact that many big retailers have recently reported data breaches of their customers’ private information, which has left the financial and personal data of tens of thousands of people vulnerable to fraud. Because of this unfortunate reality, taking security precautions that protect yourself from fraudsters is more than necessary when shopping on the Internet. 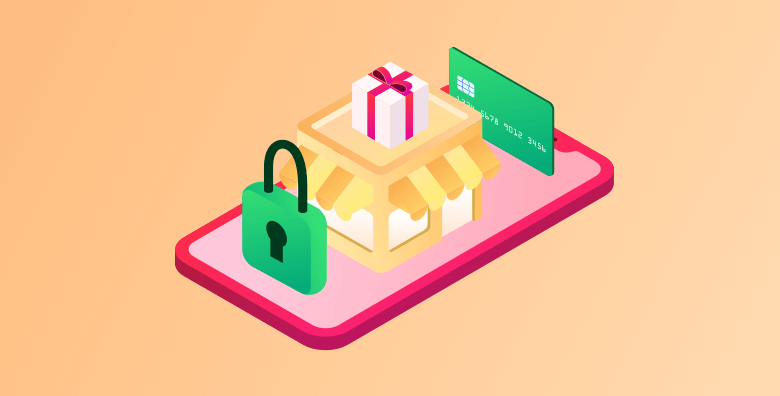 Fortunately, there are safeguards you can implement to make sure you enjoy safe online holiday shopping without dreading any unwanted eyes acquiring your personal information. Public Wi-Fi is notorious for leaving Internet user data susceptible to malicious and unscrupulous third parties. Unless you’re using a VPN, your online browsing at the local Starbucks is going to be fair game for unwelcomed eyes. Whenever you send or receive data online you don’t know which networks your data passes through on the way to its intended destination or who might have made a copy in the process. Without the privacy provided by a proper VPN it will always remain possible for your personal Internet traffic to be monitored by unwelcomed third parties and potentially even government agencies. When it comes to securing important financial information during online transactions, using a VPN can be an invaluable safety net against outsider intrusion into your accounts, ensuring that any stored credit card and personal information is walled off from probing hackers with proper data encryption. VPN’s also protect users from third party tracking cookies. You may not realize it, but web advertising distribution networks extract a cookie from your browser whenever you see one of their advertisements. A cookie contains either your IP address or your browser’s unique identifier, which in some instances can be used to identify your actual identity. If an advertisement distributor has a widespread campaign, then you may be exposed to their ads on multiple websites, and they’ll acquire cookies from you each time. Armed with this information, an advertiser can track your browsing activity and begin to target you with ads that it thinks match your browsing history. Many commercial websites will now warn you that cookies are in use, allegedly to provide a better user experience. But discerning people can read between the lines and know in actuality that the cookies are designed to improve the ad targeting of users that browse their website, and at the potential expense of your personal privacy. Imagine the power someone could leverage if they had access to all your browsing history. Always use a VPN to encrypt your Internet traffic and transactions. Because encrypted data cannot be tracked by hackers and unwelcome parties. Get started with VyprVPN today with a special discount. Disable third-party cookies within your browser. Almost all major browsers make this painless. Safari, Firefox, Chrome all offer the ability to turn off cookies from the Settings section. Consider security software. Keeping malware off of your computer protects your data from hackers. Always update your software and run an antivirus program. Use trusted EFF plug-ins like HTTPS Everywhere. This will warn you if you’re trying to visit a website that doesn’t use SSL security, a now standard practice for keeping hackers from listening in on your activity. Ready to get protected? Try with a special holiday deal today.